Patrick Roger is a chocolate artisan like no other. Patrick Roger is very involved in every step of chocolate making–from acquiring ingredients, developing flavor combinations, tempering the chocolates and sculpting! With a team of less than 15, Patrick Roger comes up with grand creations that are delectable and very detailed. The clean lines of the Patrick Roger shops really give the chocolates the chance to pop. Don’t let your eyes fool you, those bees and chickens you will see on the shelves aren’t porcelain or glass—they’re chocolates too! Entering his store and getting a taste of the chocolates made us feel like being in Willy Wonka’s Chocolate Factory. It’s handmade love for sure! The day we visited the Patrick Roger Paris store, a one tonne block of chocolate in the window had been carved to a huge elephant. Something really amazing to see! If you are in Paris and you’re looking for a chocolate gift then you will not be disappointed. Oh chocolate ! It is undeniably one of the most loved food in the world–from bars, luxury brownies, chocolate dipped strawberries and gift boxed chocolates–everything just seems better with chocolate, don’t you agree? 1. 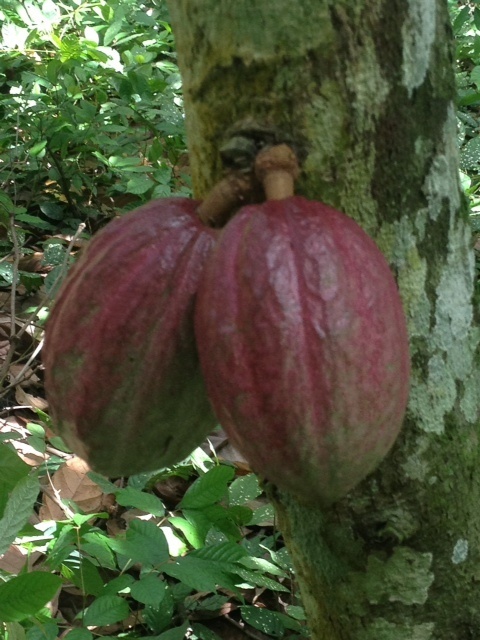 The scientific name of cocoa tree is Theobroma Cacao, Greek for “food for the Gods”. But the word chocolate actually comes from the Aztec term “Xocolatl” meaning bitter water. 2. Chocolate has been very valuable through history. The Aztecs believed that the cocoa beans are gifts from their god Quetzalcoatl and used them as currency (10 beans = a rabbit, 100 beans = a servant). In the American Revolutionary War, chocolate was used to pay the soldiers. 3. The first chocolate bar was invented in 1847 by Joseph Fry. His company Fry & Son eventually merged with Cadbury. 4. Most of the world’s chocolate supply comes from Latin America (15%), Asia (17%) and Africa (68%). 33% of the global supply actually comes from Côte d’Ivoire in Africa.